Thinking about freshening up your living room décor with spring colours? 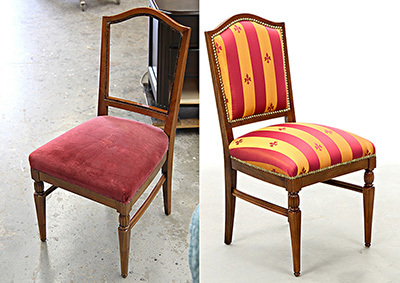 Furniture reupholstery is the way to go! Reupholstering an existing sofa or accent chairs can help you achieve the look you want without buying new furniture. Be careful with colour and pattern: While colour might be the main reason for the change, select your shade and pattern with care. Remember you’re going to have to live with it for a long time. So don’t go out on a limb and try a new trend that you will tire of soon. Avoid large prints for a very small room as they create a closed-in feeling. If you have children and pets, avoid unforgiving, light colours that will show the smallest stains. Colours also impact the mood in the room. Determine the kind of atmosphere you would like the room to have. Light colours create a cool feel while darker shades add warmth. Choose a style that matches your furniture: Formal or casual—select a style that matches the character of your furniture, the room’s décor as well as the ambience of your home. Having a whimsical pattern on a luxurious and formal sofa, for instance, is not likely to work very well. Don’t compromise quality: Consider wear and tear as well as fade resistance, especially if you have a lot of sunlight coming into the room. Since the material is responsible for the visual impact your furniture creates, choose one that will last and look good in spite of repeated use. 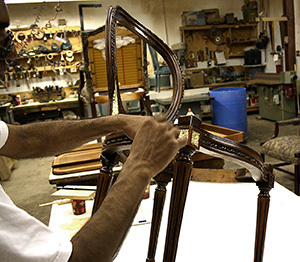 Material colour and quality aside, workmanship plays an important role in how the piece will turn out. Come to the Carrocel furniture store for expert furniture reupholstery that will help you maintain the freshness of spring in your home. For over 30 years, we have been helping homeowners in Toronto and around the world enhance the look of their homes. 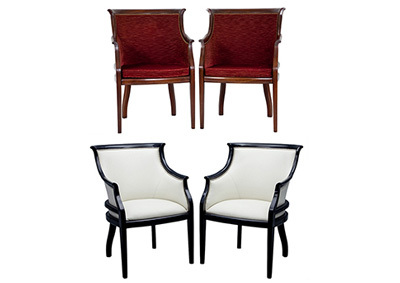 We don’t just recover furniture but revitalize it from the inside out, returning it to its former glory and luxury. Using quality materials, skilled workmanship and attention to detail, we ensure that you’ll be more than satisfied with the outcome. Our showroom staff will be happy to discuss your needs and help with your furniture reupholstery material selection. We offer many options to suit your unique needs. For all your furniture reupholstery needs, call the Carrocel Furniture store today at 416-999-2525 to arrange a free consultation.